She cited five common positions advocated by those who criticize Muslim head coverings, providing counterexamples and evidence against each. The first argument stems from concerns over security: because the burqa is bulky and obscures the face, it may be easier for its wearers to transport weapons or explosives. Furthermore, burqa wearers are difficult to identify because their faces are not exposed. However, in a more realistic scenario involving terrorism, this would hardly be the case. 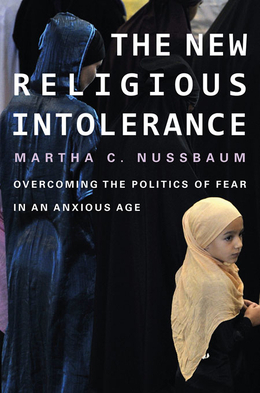 … Nussbaum argued that a ban on burqas unfairly targets many innocent people who have no affiliation with terrorism. In reality, a terrorist would be unlikely to wear a burqa because it raises too much suspicion, and so the ban would be ineffective. In other words, Nussbaum dismissed the possibility of burqas serving as an accessory to terrorism on two grounds: it's not realistic (presumably because the unwieldy garb limits sight and movement) and "it raises too much suspicion." That's certainly an interesting mental exercise; but should not the Ernst Freund Distinguished Service Professor of Law and Ethics have read through my 13,000-word blog on "Niqabs and Burqas as Security Threats" before making this assured pronouncement? She would then have found about a hundred of cases of terrorism and criminality which perhaps would have propted a change of mind about the benign nature of burqas. Toward this end, I wrote her yesterday to ask if the student reporter had the story right and offered to send her my documentation, asking if she would consider this material. She replied that same day, indicating that everything she said at Hamilton is from her book, The New Religious Intolerance: Overcoming the Politics of Fear in an Anxious Age (Harvard University Press, April 2012), adding that it is "more nuanced" than what I quoted from the student. Finding this not satisfactory, I wrote back today with two simple questions: "Do you acknowledge that there are many examples of the use of Islamic coverings in the West as accessories for criminal and terrorist activities? And that this is a valid reason to argue for the prohibition of niqabs and burqas in the West? You only need reply yes or no to those two questions and we are done." Her reply today was that not only is she "not aware of 'many examples' of the burqa abetting terrorist activities in Europe and the US," but even if many such examples existed and were statistically correlated to criminality, she would still oppose any ban on niqabs and burqas, citing the 1999 case, City of Chicago v. Morales et al. Mar. 21, 2013 update: Giorgi Areshidze usefully exposes the weaknesses of The New Religious Intolerance: Overcoming the Politics of Fear in an Anxious Age in "Tolerating the Intolerant" in the Claremont Review. June 21, 2014 update: Stephen Eide writes in "Martha Nussbaum: The Voice of Convention," Academic Questions, that "Despite a lifetime spent immersed in master works, [Nussbaum] sometimes expresses herself through slipshod prose reminiscent of an undergraduate term paper."